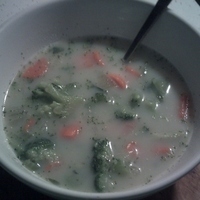 A quick and easy soup - delicious too! Just bring to a simmer and allow to simmer until carrots are crisp-tender. I don't want them mushy. Heat until hot and then pour in the milk; and as I have said before â just heat through â do not boil milk. No â I did not puree it. That is not how I wanted my soup. 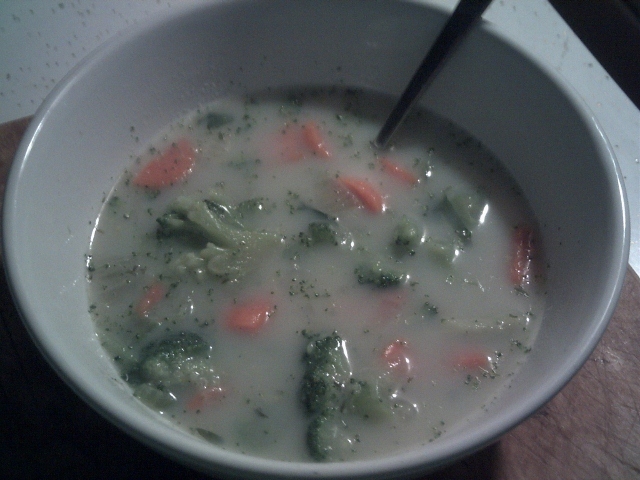 Add some crackers and a quick an easy broccoli soup for all! A nice slice of top round and a crockpot! And bean salad! Quick Sauce - made in 10 minutes or less!